First stop, Veg Food Fest: I can never be anywhere in the vicinity of Bunner’s and not eat/buy their cinnamon buns and Supersonic cookies. 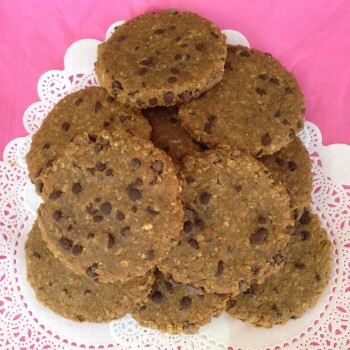 These delicious oatmeal chocolate chip cookies are Shockingly Healthy (made with uncontaminated oats, doily not included). Green Zebra Kitchen delivers flavourful organic, vegan and gluten-free meals to your work or home. 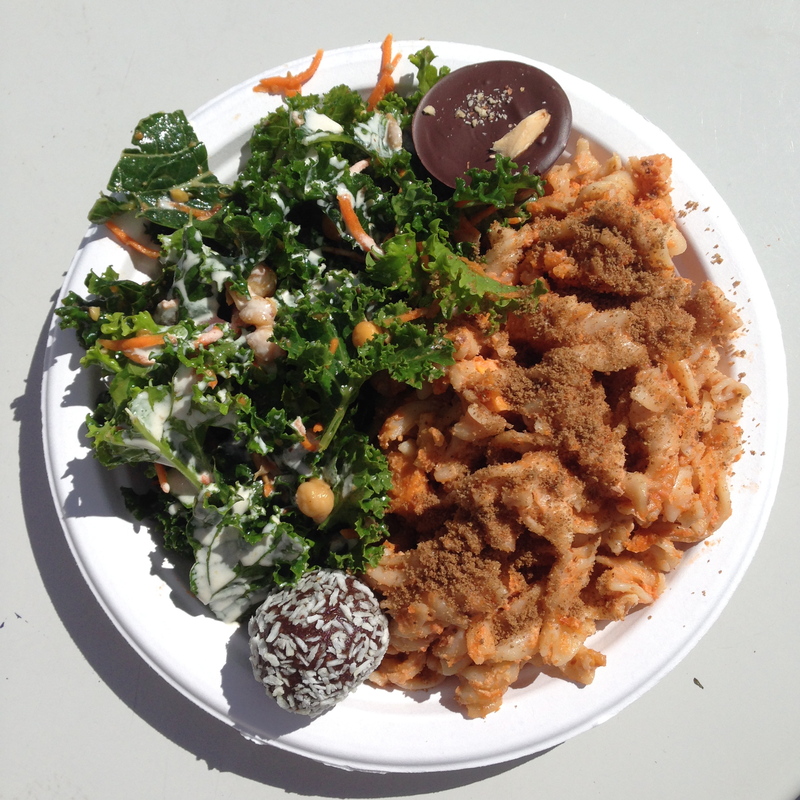 Like this one I had for lunch: sweet potato mac and “cheese” and kale salad (with a couple of sweets thrown in for good measure). I was relieved to see The Honest Leaf. 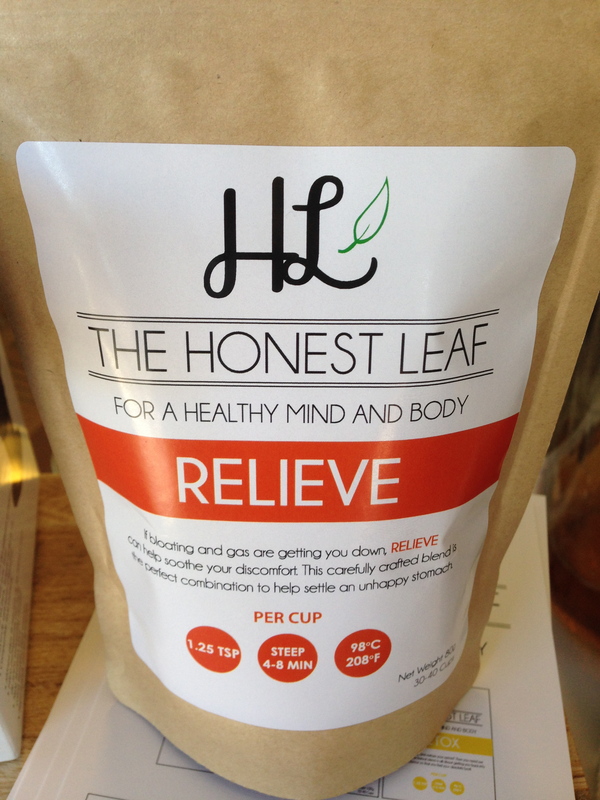 I bought a package of this tea for my gluten-free girl because she’s been having some tummy trouble. I’m a big fan of their Detox tea. 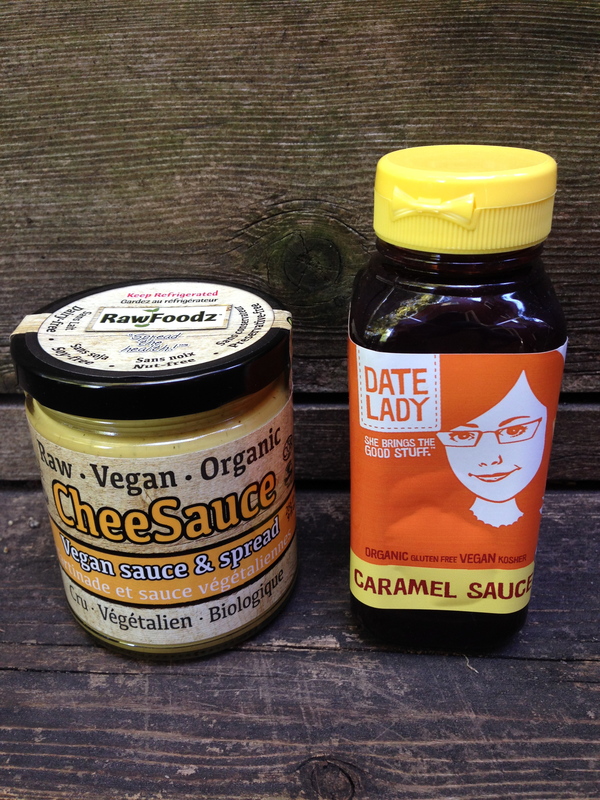 My best new gluten-free product finds of the day: CheeSauce from Raw Foodz (melt it over cauliflower and weep) and The Date Lady‘s caramel sauce (squeeze it over ice cream and moan). Next to Raw Foodz was Nud Fud (I sense a theme here). If you haven’t dipped their Goji Energy crackers in peanut butter, seriously, what are you waiting for? Every year I pay a visit to Marni Wasserman at her booth and beg her to be a part of the Gluten Free Garage. This fall for the first time she is going be a vendor and a guest speaker! 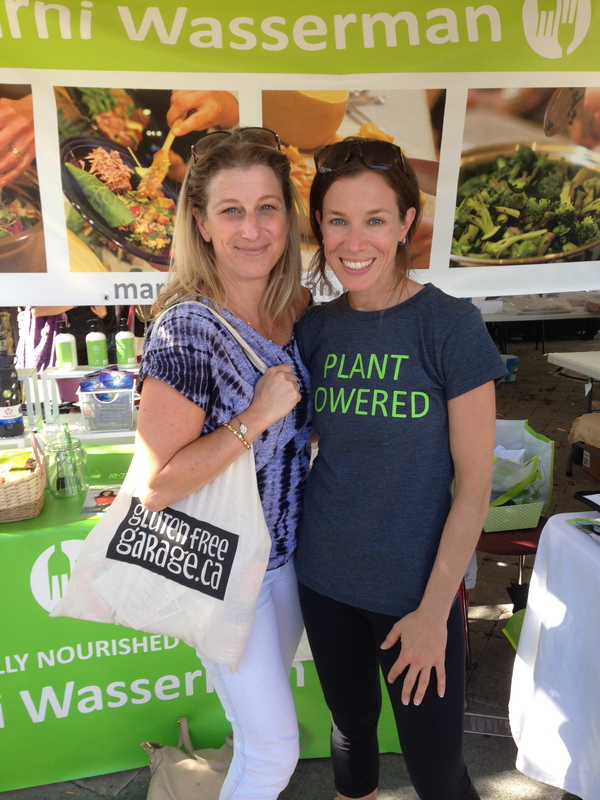 If you’re hungry for healthy, delicious gluten-free dinner ideas, don’t miss Marni’s afternoon workshop at GFG. 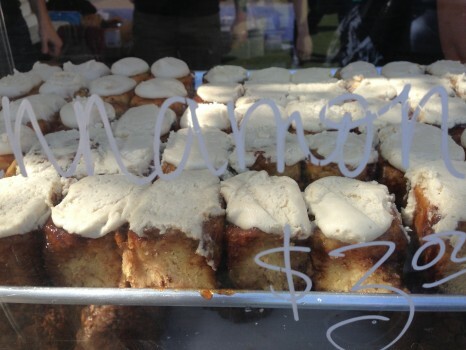 After making (and eating) my way through Veg Food Fest, I finally found what I was looking for. 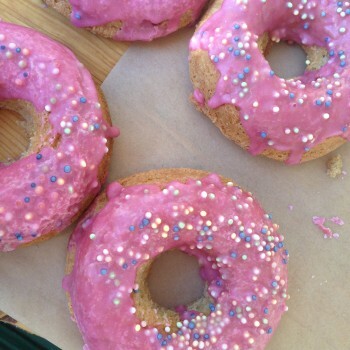 These pink sprinkle donuts from Tori’s Bakeshop are a much-coveted gluten-free baked good in our household! The girls were about to get lucky. MOST OF THESE VENDORS WILL BE AT THE GLUTEN FREE GARAGE ON SUNDAY NOVEMBER 9TH! SEE YOU THERE! Posted in Bakeries we ❤, GFG exhibitor!, GFG speaker!, Products we ❤, Tummy love.